Robert I. Merrill is currently supplying the doors for the new Lehi High School! The original Lehi High School, was built in 1921 here in Utah, but in spite of many upgrades, the student population has outgrown the old school. A bond for 56 million dollars has been secured to build a 333,000 square foot school building with Robert I. Merrill supplying its doors, frames and hardware. We are very excited to be a part of this project and to have the opportunity to provide doors that will be functional as well as aesthetically pleasant for all those who venture through them for years to come. 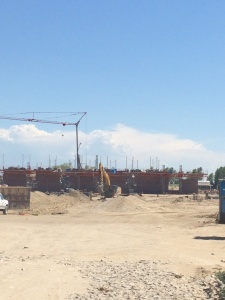 The new school is projected to be finished in the Fall of 2015. We look forward to seeing the end result!